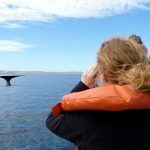 Whale Watching truly is a wondrous site and when visiting, studying, or traveling to Boston, you can’t go without experiencing the fun and excitement of Boston Whale Watching tours. 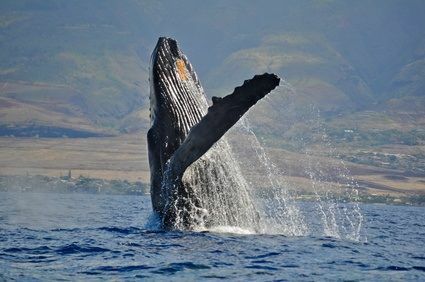 Each and every year Boston is lucky enough to experience the pass-through of these great ocean giants and is one of the top 10 whale-watching spots located in the world offering you that “Wow” factor you may be looking for. Boston Whale Watching tours can be found and booked through the New England Aquarium Whale Watch section. Generally this Tour lasts for up to 3 hours and is said to be one of Boston’s hi-speed whale watching experiences available. 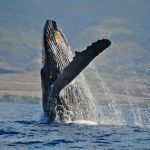 Because of the huge migration period between April and November, you will be able to get a glimpse of the finback, minke, and humpback whales that glide regularly throughout the waters breaching and spouting. Using a catamaran vessel, the New England Aquarium Whale Watch makes for a comfortable and pleasant experience for all to enjoy. This tour can take any TALK Boston Students to the Stellwagen Bank Marine Sanctuary which is one of the best and richest feeding grounds available for whales, sea birds and dolphins. 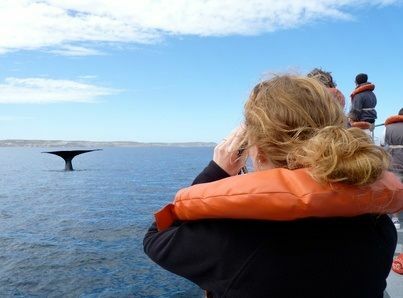 This area is home to pilot whales, minkes, finbacks, and humpbacks, along with the endangered right whale. When experiencing this tour, the NEAQ-trained naturalist will be able to share all their knowledge on the scientific tracking, behaviors, conservation status, and more of the marine life in these waters. TALK Boston is only a few blocks away from the New England Aquarium Whale Watch Tours which is located at 1 Long Wharf, Boston, MA 02110, United States. It is important to book ahead of time to ensure you place on the catamaran as vacancies do fill up quite fast during the migration seasons.